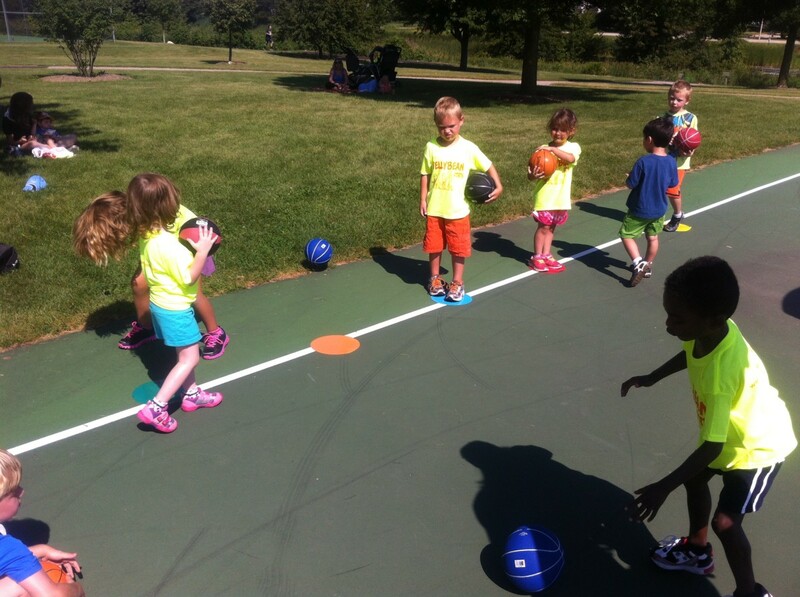 Dribbling is a fundamental skill and core competency children need to learn in order to play basketball. 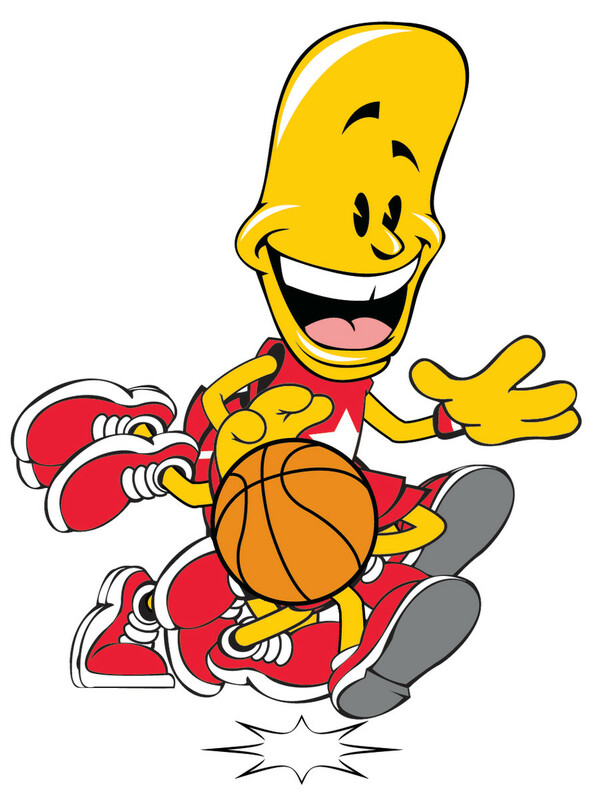 Highly complex, dribbling a basketball involves a physical and a mental coordination that is often difficult for most young children starting out. Likewise, children's limitations can make the process of teaching the skill difficult. Competitive coaches can focus too heavily focus upon the skill itself. This risks leaving the child behind. With such a steep learning curve, highly skilled players will standout as all others seemingly fail to one degree or another under the rigid standards. As a result, children can quickly become frustrated. Accordingly, modifications are necessary. With the use of simple modifications, especially non-dribbling exercises I talk about within, the practice of dribbling and teaching dribbling becomes easier. Modification, arguably, will have the biggest impact upon younger children. The benefit is that a truer sense of dribbling's coordinated movements can be learned without the pressure of dribbling itself. There is also the ability for young children begin to get a sense for the strategy that surrounds dribbling and basketball in general. And so there is more productivity and fun and be less frustration or willingness to give up that comes from modification. The dribbling exercises and coaching techniques in this hub are designed for coaching introductory dribblers. 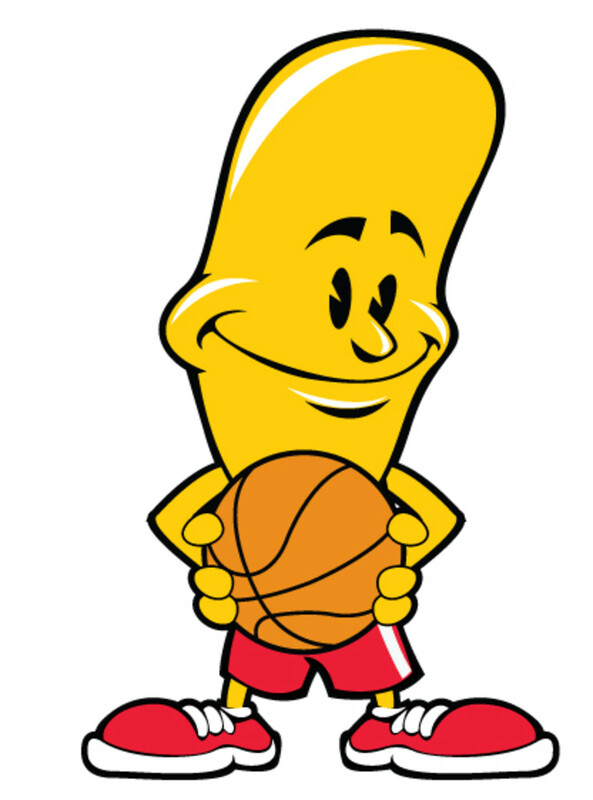 The Jelly Bean Way is a classroom proven early learning sports development approach that will provide you not just the written instruction but also things like classroom video. You can watch and see how the lessons are set-up and also watch how the young children respond and perform. The real voyage of discovery consists not in seeking new lands but in seeing with new eyes. It is important to note that this is early learning sports development. The educational process is relatively new and not holistically traditional basketball teachings. The teachings are generally for children 6 years and younger. Does evidence of 3- and 4-year old dribbling "phenoms" exist on YouTube, Yes! This, however, is not that. The majority of young children's experience with dribbling is little to none starting out. Learning how to effectively introduce dribbling and its core components begins with our first learning dribbling from a non-dribbling perspective. Too many of the elements that will be talked about here are overlooked. Focusing on non-dribbling exercises as children grow into dribbling is what will help make them fundamentally better and achieve greater dribbling success long-term. Thanks for stopping by, if you like what you read be sure to follow Coach_Pickles to find other interesting young sports-related hubs like this one and to receive updates when new hubs are published. The acquisition of competency in movement is a marathon not a sprint. The assessment in the case of dribbling is quite simple. Generally, I will begin by asking young children one simple question. The key to my success has been in what lies beyond this simple question. The formula is simple and one to remember. I do what I call, ask, listen and repeat. I ask the question, listen to their answer and repeat their answers back to them. It is essentially a simple process of training my brain to let children do all the work. By letting young children explain to me what dribbling is, it occupies their minds. It gets them to think in independent fashion. And what's the biggest problem adults too often have working with young children? Keeping their attention. So setting them up for success, I listen and in doing so extend their focus on the task at hand. I then watch as they demonstrate for me what is dribbling. This gives me the assessment I need without really ever needing to ask for them to show me dribbling. Of all the skills that must be learned to play basketball, getting young children comfortable learning how to dribble, arguably, is the hardest to teach. It should be thought of as a process. Part of that process demands throttling our basic instinct to over-teach. Instead let young children's natural instincts, knowledge and the subtle context you give them around dribbling be the baseline you work from. "What are 3 things you need to know how to do to play basketball? 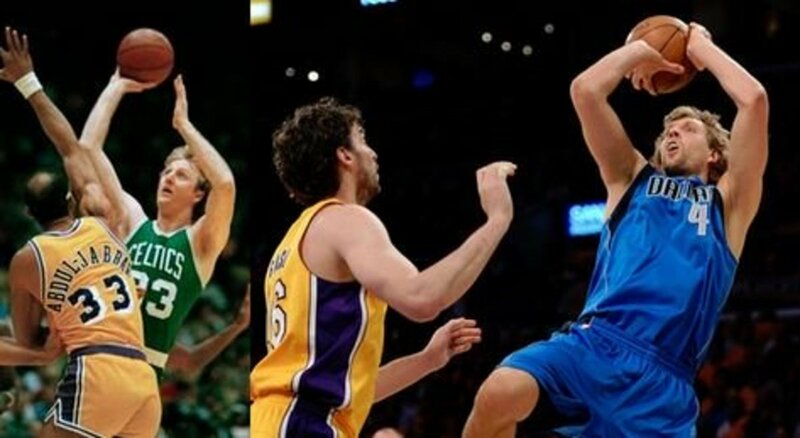 (Answer: Dribbling, passing and shooting). It may seem so simple. But if we expect young children to learn dribbling, we must, again, be prepared to set them up for success. Introducing young children to basketball starting by discussing it in broader terms (i.e. dribbling, passing and shooting) can open up other doors in their thinking. They are curious, eager to learn but if we move too quickly or take shortcuts it creates nuance their minds are not equipped to handling. Layering in information, like the ingredients of a cake, allows young children to understand from a more holistic standpoint. Therein, when we begin to talk more specifically about each skill, they more easily comprehend our starting point. Teaching young children dribbling begins with our own understanding that there is a deeper process we, ourselves, must first understand. It is this process, when broken down properly, that opens up the gateway for children's understanding of dribbling. It allows young children to focus easier and for us to train them on the finite components they will need to learn. The skill of dribbling, itself. In the case of early learners, "the skill" is unreasonable to expect. Therefore, we must shift our focus more towards "ball security" and "ball positioning." They are two things that young children are more than capable of executing. They also offer amazing opportunity for us to explore how teaching dribbling is kept simple and learning is made fun. And it all starts with non-dribbling exercises. 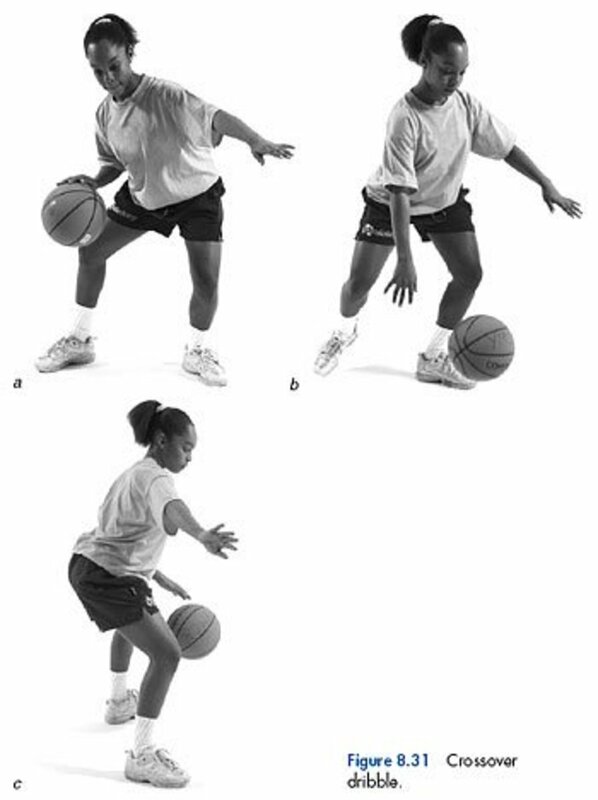 What is a non-dribbling exercise? Asking children to line up on a line has always been a challenge. But doing so with their ball over their head seems to inspire a challenge that makes it easier. When they do, I proceed to knock the ball out of their hands walking up and down the line several times. The children laugh and you will have to tell them to go get the basketball and do it again. Eventually, one becomes wise to holding the basketball tight, or will I have to ask if they are holding the basketball soft or tight. Once they realize that they should hold the basketball tight it becomes a performance of me getting frustrated that I can't knock the basketball out of their hand. It is not a competition. Your job is to seed the idea of ball security into their heads. This is repeated several times between other drills and exercises. Repeat above but at the belly button. Tap on the basketballs like bongos moving up and down the row. Children are very amused by this fun process of learning ball security. In the case of dribbling, the process will have me asking them to walk across the floor with the basketball, not dribbling, but with the basketball placed beside them on their pocket. They walk down the floor. And then I bring them back to where they started. Upon their return, I tell them I am going to take their basketball. I ask, "Do you want me to take your basketball?" The majority will say no. At this point, I explain how to rotate or move the basketball that is on the pocket behind them so I can't get it. It usually begins by me taking the ball a child is holding out in front of him. After showing him how to rotate the rest of the children usually fall in line. And I have fun trying to steal their basketball watching them rotate as I do. Before I ask them to dribble. I will explain how it simply works telling them that they can simply drop and catch the ball. I have transformed many a child's thinking that told me, out the gate, that they "can't" dribble. By telling them to drop and catch the basketball, they feel, in most cases, it's manageable. Holding them at one end, I, again, repeat the process coming back across the floor. Once done, as a matter of continuing to warm-up and give learning timeouts, I actively integrate periods of release from learning. I recommend you do too. How this is done is I will usually let the children take their basketballs and shoot for one-minute increments several times throughout this class. While this has nothing to do with dribbling nor is an assessment per say, shooting for one minute breaks up the instruction. Given short breaks throughout, children free play. And like a Zamboni does at each intermission of a hockey game resurfacing the chipped ice, the time of play resurfaces children's minds. It gets them ready for the next wave of instruction I want to teach them. These types of brief intermissions are critical to establishing flow and momentum with early learners. I suggest their frequency be every 7 minutes. Combined with a water break, there could be as many as 5 one-minute breaks throughout a 45 minute class. As a part of the broader teaching process, I extend the dribbling instruction and will focus on it another week. The following is how I fold in new ways of discovery for dribbling a basketball. Some of it is review. But there is more new non-dribbling activities to share and learn that include the novelty and contrast young children most seek from their learning experiences. The youngest of children will struggle with dribbling. However, the opportunity for learning still exists. Once dribbling and/or any other offensive skill in basketball is broken down into its lowest common denominator, ball security and ball positioning are what drive basketball's broader skills. It is here where we start to teach early learners. As I often tell the parents in my classes, it is great to teach young children dribbling, passing and shooting but if they can't keep possession of the ball, all of those things do not matter. We must reinforce ball security throughout our teachings. For early learners, it in many ways becomes the primary focus based on their physical limitations. The opportunity to teach young children ball security opens up amazing doorways to teaching basketball with NOVELTY and CONTRAST as you will see from the video. Personally, teaching the ball security of a basketball is one of the most fun things I do teaching young children sports. Given you have already taught them how to hold the basketball tight and how to rotate the basketball so it won't get stolen, there is an opportunity that comes at the beginning of class that is amazing. I will walk around the room asking, "Who's got my ball?" I will make eye contact with a kid and ask, "Is that my ball?" He will invariably say no. I will then ask, "Whose ball is it?" He will tell me it is his ball. When I tell him it is my ball, he will run away. This exchange is the type of interaction you want to create with all children. It seeds in them the idea of POSSESSION. It is a term actually used in basketball that relates back mostly to the idea of ball security. Let kids freely roam and run with the basketball in their hands without dribbling is the first opportunity they get to feel what it is like to actually play basketball. They must learn how to own the process of ball security before they can be taught positioning or the skill of dribbling and this does that. Beginning with the most fundamental dribble first, it is what is called the Strong-Arm Dribble. It further emphasizes children's focus to be placed upon ball security. The Strong-Arm simply implies the off-arm is use as a shield to protect the ball as shown above in the second Jimbo graphic. Have young children start by squeezing the basketball between their feet. This will stop them from running off during your two-minute spiel. Leave the basketballs in this position until you're ready to use them. Coach: Tell children, "Show me your muscles!" Have fun walking up and down the row tapping on young children's muscles and saying, "Man, those are some big muscles!" Young children love this. This has nothing to do with basketball and yet everything about building in the novelty and contrast behind the ball security you must help them understand. After children are posed and showing you their muscles, it is now time to create their Strong-Arm and move onto step 3. At this point, young children are ripe in their thinking and in position to move their arm 90 degrees into the Strong-Arm position. Coach: Next show and tell children, "Make just one muscle with one arm." You will show them how to bend their arm down 90 degrees to become flat out in front of them. Coach: With basketballs still squeezed between their feet, I will say, "I am going to come around and check your Strong Arm." This requires tapping the top of each child's arm to make sure it doesn't drop. As you do it say, "Yep, that is a Strong-Arm! Good Job!" Coach: Finally, have some fun with the children. Have one child push down on your arm. But let it fall or flop down...do so several times in an exaggerated fashion. Ask them, "Do you know what that kind of arm is called? A noodle arm." Ask them, "Do we want a Strong Arm or (flopping your arm) a noodle arm?" ***Have kids shoot for a minute to get the wiggles out. Add a basketball placed on the pocket and repeat the instruction. You'll notice children are learning without the distraction of the basketball and they are learning in ways that keeps things simple and makes learning fun. They don't feel compelled to run away or play with their basketball. Coach: Tell children, "Now, put the basketball on your pocket." Some won't have pockets and you will have to explain you want it where their pocket would be. Coach: Next show and tell children, "Hold up your strong arm." Coach: Show and tell children, "Place the basketball behind you." Turn your body from your belly button facing the children to 90 degrees to the side with your (opposite arm not holding the basketball) strong arm up. Getting to this point it should not take you more then 2 minutes, ideally 90 seconds. Less is more when working with young children. Next, I do a fun static assessment before getting them mobile managing the basketball. I start by going up and down the line moving from child to child. When I am in front of a child, I try to get their basketball. The idea is to help get young children in proper position and then to think about protecting the ball. This usually comes pretty naturally for children. There are always a few that need help, spend about 10 seconds in adjustment otherwise ask parents for help. It is important that you reinforce using the language I gave and don't vary too much. In the end, young children won't remember what you say but they will remember how you made them feel. Our terminology has based on building that connection. For example saying, "Basketball on your pocket" yields far greater results than "Basketball behind you." Of course you can say, "Basketball behind you on your pocket." The novelty and contrast in this case being their focus on their pocket and strong arm. Again, children usually catch on quickly to the cat and mouse nature of all these exercises. Keep the mood light and stop to make quick fixes as necessary. NO DRIBBLING has been expected of them yet. We are simply working on the fundamentals of ball security and body positioning that lie at the heart of dribbling. You can help so many kids this way get comfortable with the idea of dribbling by putting, as we've done, the child first your thinking about the dribbling lesson. With basketball on their pockets behind them and strong arm out in front of them, the next thing to do is to get them moving. Instruct them upon blowing your whistle that you want them to walk up the floor. This process of managing both a basketball behind them and an arm held up in front of them while moving is what makes dribbling effectively so hard for young children to do. Notice there is one thing missing? That's right, there is no dribbling. The dribbling element is something that can begin to be introduced around age five. Focusing on these basic components of ball security, ball on the pocket and strong-arm create a great foundation for the next steps of teaching dribbling technique. It is here where you stop if you are working with children ages 2.5 to 4 years old. The lack the coordination combined with difficulty managing a cumbersome basketball makes it a challenge to do more than this at these ages. While some might be able to, there are better lessons and activities that the majority of children will have more fun doing. If you are working with children ages 5 to 7 years old, repeat the exercise but add in the dribbling. Begin with them dribbling on the baseline, then bringing the basketball behind them to dribble at their pockets and with their strong arm and then get them moving with their basketball performing what is called the Controlled Dribble. It incorporates all techniques described. Play a game where the kids DO NOT dribble but instead focus on creating their Strong-Arms and keeping the basketball on their pockets. 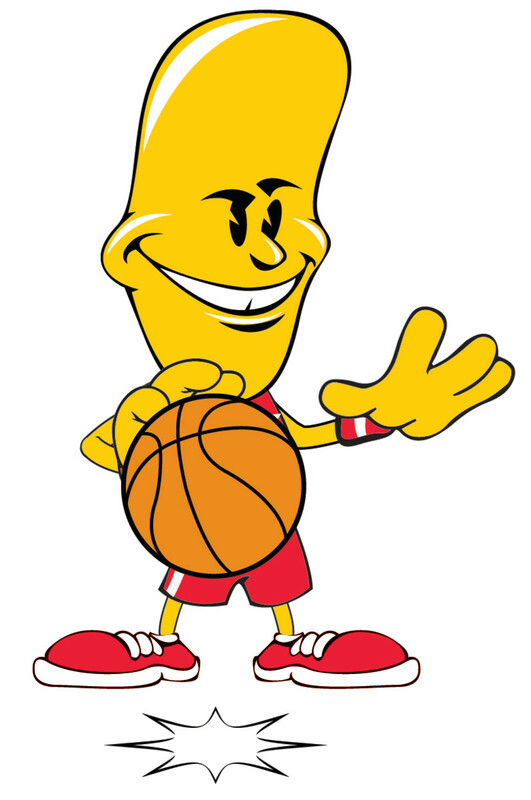 The objective of each child is to knock try and knock the basketball out of another child's hand while also protecting his own basketball with his own Strong-Arm. It is important to be proactive and ask kids this question on the front-end. "Do we cry if someone gets our basketball or hits it out of our hand." Simply tell them that if they get someone else's basketball to give it back. As part of the assessment when I work with older children that are ages 6 and 7 years, I will have them perform backwards dribbling. As I have learned throughout the years, it often levels the playing field between those comfortable and those uncomfortable with dribbling a basketball. Generally, it makes most children a bit uncomfortable. However, what it also does is helps young children generally focus better. The backwards dribbling teaches good form and body positioning because it challenges young children to focus their sights directly on the ball. The backwards dribble is an entry level approach to dribbling that is highly effective however well under-taught. Young children can make fast improvements in their dribbling technique. A much more fun and much less complicated dribble, the Speed Dribble requires young children to move quickly as they dribble the basketball across the floor. For very young children, under age four, this could mean simply running without dribbling across the floor. This adaptation is an effective first step that we need to accept as part of the early progressions of dribbling. Begin by asking, "Do race cars drive fast or slow?" Answer: Fast. "What happens if the race car driver goes too fast?" The kid answer, "He will crash!" Next, describe what they will be doing, "The next dribble is called our speed dribble." Ask, "Do you think we will go fast or slow?" Answer: Fast. Ask, "What happens if we go too fast?" Answer: We will crash.Tell them, "Dribble as fast as you can up the floor but be careful not to do what?" Answer: Crash. Get them dribbling up and down the floor. Control them by integrating stop's using a whistle or red light, green light game. Do not over-instruct here. 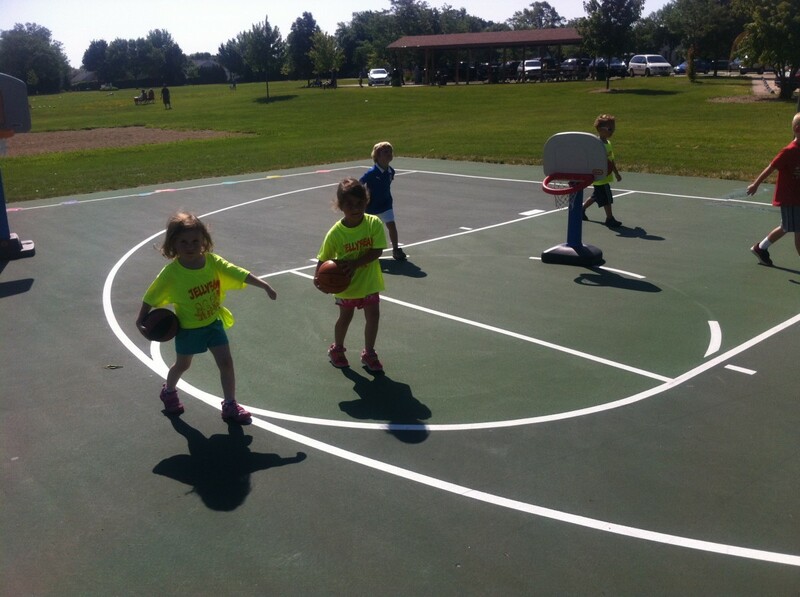 The speed dribble will happen at a variety of rates among young children. They will naturally double dribble and travel for a time. Referees understand young children's limitations when dribbling and so must we as coaches. Remember the most important rule in basketball is ball security. Teaching all other skills does not matter if a child can not possess the basketball. There are several non-dribbling exercises that will compliment the physical and mental limitations young children naturally possess. They should be emphasized and the skill of dribbling itself, as this instruction explains should be folded into the learning process. By keeping dribbling simple and making learning fun, young children will feel more confident and more compelled to try to dribble earlier in this early learning basketball development process. Keeping basketball simple and making dribbling fun does take a concerted effort, but you no longer have to guess about how it is done. 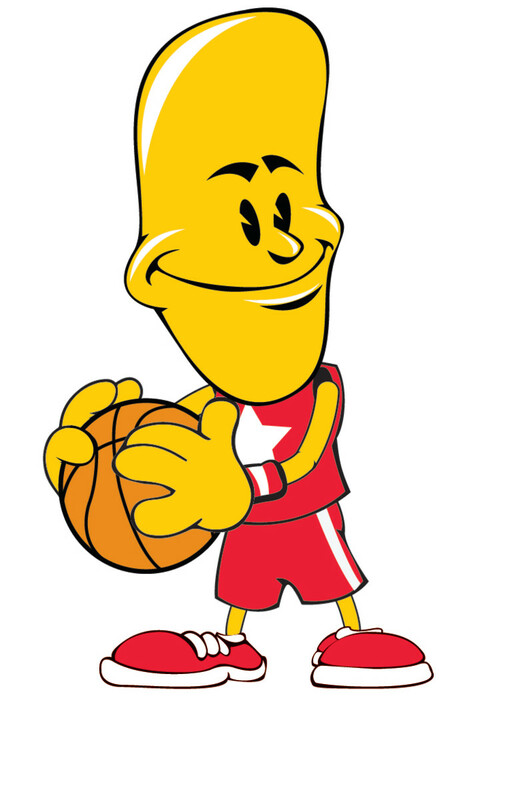 Best of luck to you and please provide your feedback below about how the Jelly Bean Way of dribbling worked for you. Very informative and fascinating hub. So here are a couple of recommendations for younger players when it comes to dribbling drills. 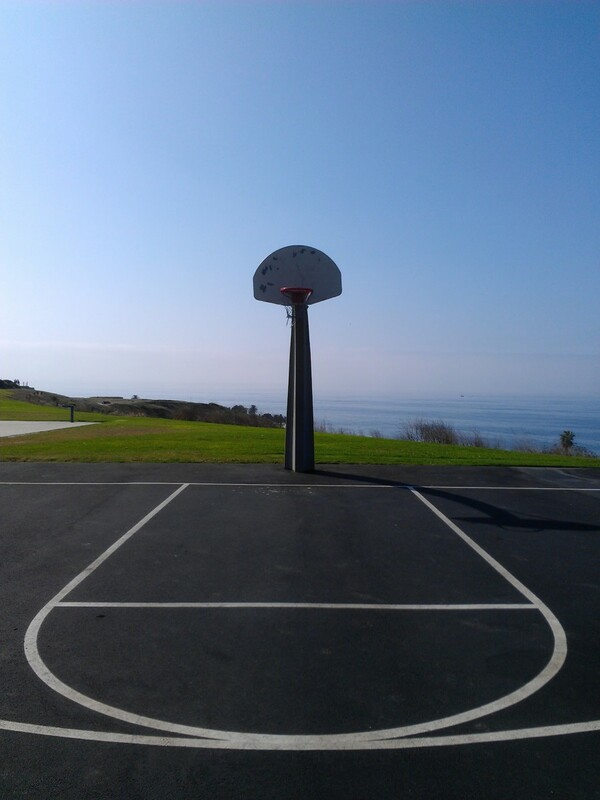 First, if a player is 5 or 6 years of age or younger, or even if the player is older but very small for their age, I recommend starting out with a smaller basketball. If anyone wants to become a better ball handler then visit one of my hubs thats on ball handling. 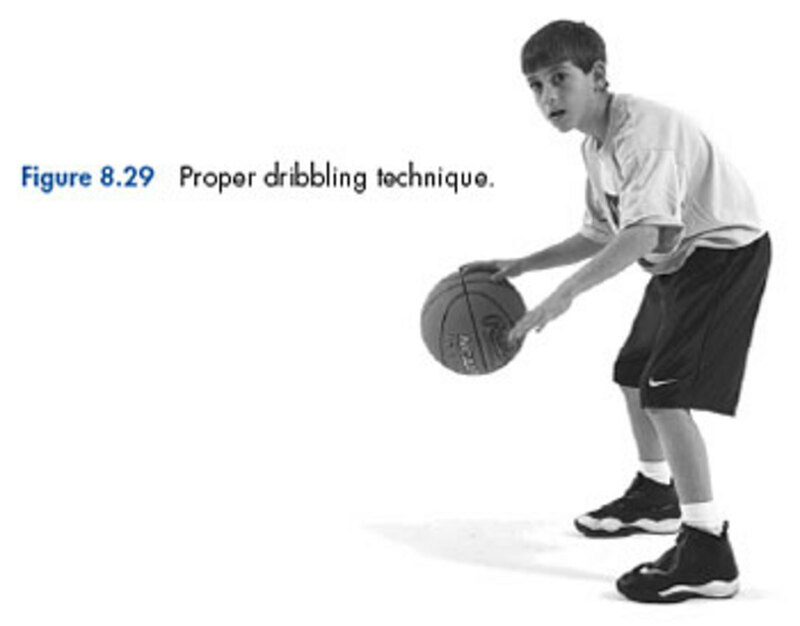 Coach, I think you need to keep it real simple to teach young kids to dribble. Keep the ball on the fingertips, and your head up. Do the same with your other hand. From there they can learn all sorts of dribbling drills to improve ball handling. Those children don't look very young. I already taught my 6-year old niece to dribble a ball. Thank you so much for these wonderful tips. My husband and I have volunteered to coach a team of Under 7's at our local YMCA and plan on starting with your hub about dribbling and shooting at our first practice. My daughter is so excited for the season to begin to play pizza position! Very good. It is a great system that, as you will find, really makes sense for young kids. They do more than just follow directions. As surprising as it might seem for 4 and 5 year olds to do, they quickly find focus and actually begin to think about what they are doing. Within each beginner athlete is incredible potential and it is up to us, as coaches, to first build the synergy with kids to make the inroads to unlocking that potential. That is what you are doing by opening up your drills telling them a story. Storytelling is one code or combination for unlocking beginner athletes' potential. However, storytelling isn't always easy for many coaches, especially those have trouble thinking outside the box or letting go of their pride. Beginner athletes have very specific needs that require us, as coaches, to fearlessly act unhibited and often, without losing control, return to the ways we once thought as children. This is how kids think, what they expect and respect and what more youth coaches need to remember. Kaly, people like you who've expressed commiting to teaching in the ways that I write about will almost automatically be taking the needs of the beginner athlete into consideration. The rewards for doing so are exhilarating and fun. I find there no better student to teach then beginner athletes. The teacher arrives when the student is ready. Beginner athletes (before age 7), I have found, are always eager and ready to learn and this gives me, as a coach, performer and educator, great purpose. However, they as we've talked about, learn differently and require a different type of coaching style. I believe we no longer have to ignore or believe that beginner athletes are overly difficult to coach or outright uncoachable. They just don't respond well to adult-style coaching methods. Good luck with your upcoming Little Dribblers camp! Let me know how it goes. Increase vertical, thanks for taking the time to write in your appreciation. The beginner athlete is something of an anamoly. If we, as Americans, continue to go on ignoring their needs we can expect that the rest of the world is going to pass us up on the world's larger athletic stages. Thanks again for the vote of encouragement! I am going to use several tips from this article in an upcoming dribbling camp we are doing! Thank you! Try it. You will have to see it to believe how well it works. The one thing I don't talk about is how I get into dribbling instruction with the kids. Keep in mind they are young children when I ask them this question. &quot;What are the three most important things you need to know to play basketball?&quot; The answer: Dribbling, Passing, and Shooting. Simple, but rarely do children know all three. We can help them in this way better understand the basic components of basketball faster. After posing my question I say, &quot;Today we are going to work on dribbling? What is dribbling?&quot; And you know the rest. Enjoy and have fun with it. I do. 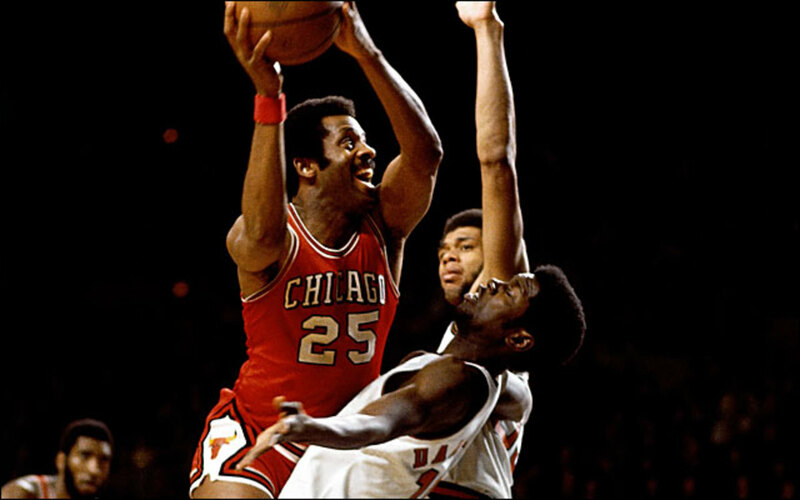 Mr. Basketball, thanks for reading "How to Teach Young Children to Dribble a Basketball." I admit, my coaching philosophy working with young children (ages 2-8) is unconventional. Considering the differences in young children's development coaching sports skills are not about winning or taking them further faster. If we are to coach young children and do so effectively, it is necessary to keep in mind the ways they think before we impose text book coaching examples. This is necessary if we expect they are going to retain what we teach them. The top three characteristics coaches from all competitive levels have stated they look for in players are: 1) a passion for the game; 2) a positive attitude; and 3) coachability. This instruction is designed to inspire all three characteristics in young children and prepare them for their progression to new levels. Good luck in your specific search for dribbling information.